An Arsenal fan was in attendance for the first game at Tottenham’s new stadium in a youth team game against Southampton. 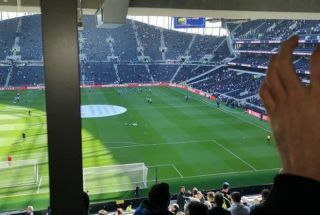 But it seems some of the work done by Spurs at their new ground is not the best – with this guy tweeting a picture of the view from his seat. Yep, there’s a massive pole in the way, which can get really annoying as it’s blocking a pretty important area of the pitch. Given how long Tottenham have waited for their new home, could they not have been extra careful to get details like this right?